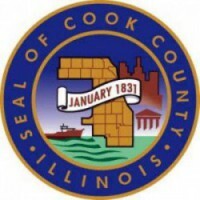 The Cook County Retirement Board met in early August and discussed unclaimed benefits for the surviving spouses of members, which can vary based on the member’s original employment date. There are two tiers of benefits for employees of Cook County. Members that were hired before January 1, 2011 are in the “Tier 1” plan, and those who were hired on or after January 1, 2011 are in the “Tier 2” plan. A member who participated in a reciprocal system before January 1, 2011 may be entitled to “Tier 1” benefits. To review these benefits, please visit the pension Web site, www.cookcountypension.com, and click on the “Benefits” tab, and then the “Annuity Benefits” subpage.